Founded in 1980 in a barn near Greencastle Indiana, Dixie Chopper provides the perfect local option for your yard or business. Varying in horsepower and deck size you can find the right Dixie Chopper zero turn lawn mower for your or your neighbor’s lawn! Whether you’re a commercial lawn mower or just a homeowner trying to cut down your mowing time, the fastest lawn mower in the world is perfect for you! You can also call us for all your Dixie Chopper replacement parts and service! Click Here to see our Dixie Chopper Inventory! 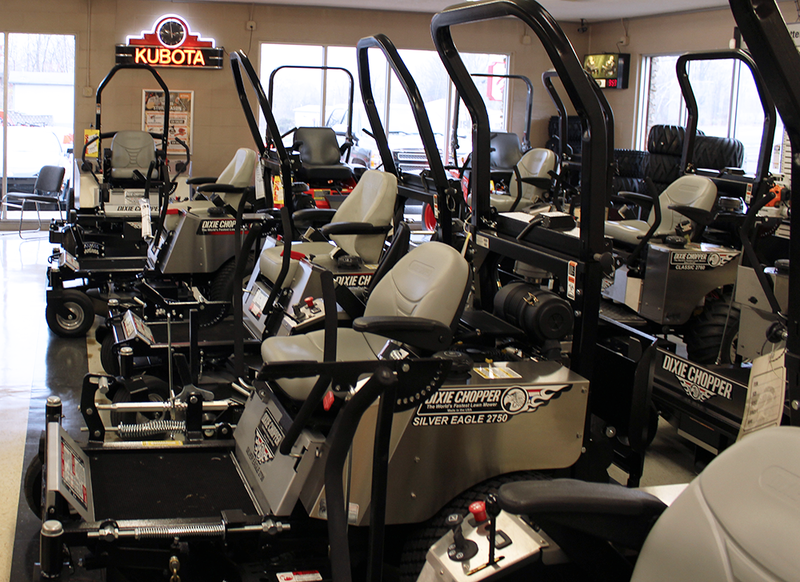 Come have a seat in our showroom.